Report Bee Blog | Measure and Improve Learning! Where does Chennai get its water? What is its storage capacity? How dependent is Chennai on Monsoons? What will happen to water situation as Chennai’s population grows? Is there a changing pattern in rains or weather? We needed data to answer these questions. Luckily we had a good starting point for our data adventure – The website of Chennai Metro Water. This site has water levels of Chennai’s reservoirs (Lakes) for each day for the last 14 years (We wish it was 40 years of data!). We plotted various graphs to visualize the data and learn from it . The first graph, the total water levels from 2004 until today. Observations from above graph, from 2004 up until 2012, the water levels have been fairly consistent across the year and these were years of water sufficiency. 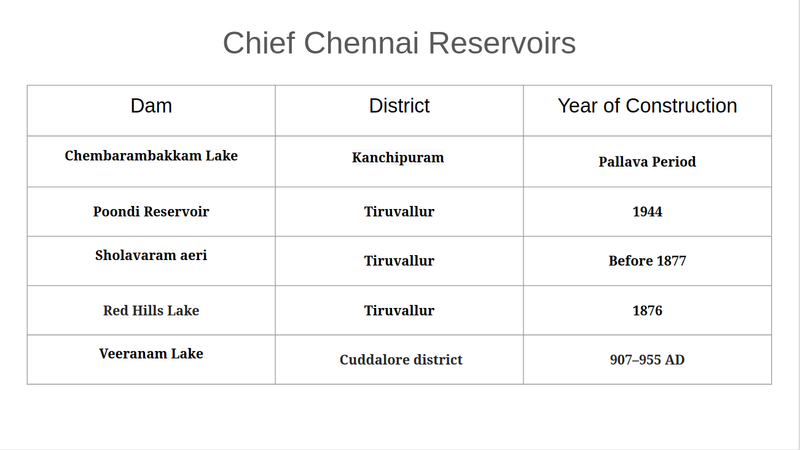 From 2013 onwards, there is a drastic fall in water levels across the 5 chief reservoirs which supply water to Chennai. This shortage of water did not stop even in 2015- December, the year infamous for Chennai floods. What we are seeing increasingly is a Monsoon that is holding itself back a little and then packs a punch too wet to handle in the months of Nov-Dec. The truth is that when it rains so much in so little time, all water goes down the drain, literally. We need new ways to trap the monsoon efficiently. Then, we visualized the 2004 to 2017 in an overlapping graph. This visualization makes it is easy to compare the water levels across the years. In recent years, we run out of water faster and failed Monsoon threatens the city of drought. Validates the humour in the title of this post. To understand this better, we calculated time taken for the water level to come to 3600 Mcft in a given year. Assuming that this level of water is a situation of concern. Listing the calculation for some of the years. In 2030, at full capacity in the 5 chief reservoirs, we’ll completely run of water in 9 months even if we get good rains. Chennai will face severe water scarcity in coming years. Do we need more desalination plants? Do we need to build more reservoirs? Take a look at the table below. Three were built in British era and other 2 much before! Are our catchment areas (reservoir locations) enough, do we need more? Monsoons are India’s lifeline. We used to be an agrarian economy dependent on rainfall for our survival in the global market. Today, years later, though the balance has shifted in favour of services more than manufacturing or agriculture, we are still dependent on these life-giving winds from the Indian Ocean. Even if not for agriculture in Chennai, it is to feed our rivers and put that glass of water on our dinner tables! I don’t know where to start. I didn’t plan for it. But it happened. I strongly believe in destiny, it takes us to places. For me, it was Antony Jackson. He took me in his arms, and gave me a lifetime opportunity. Who could dare to refuse? I never believed that I would get a job while still in college. After heading home, I told my dad , the one person who strongly believes in me that I got a job. I joined Report Bee as an intern. Arvind from Partnerships received me with a warm smile. Yeshwanth granted me the Wi-Fi access. Daniel Doss, encouraged me with his strong words. Anant, I’d call him the coolest CEO on Earth. He handles everything with a smile. He came all the way to parking lot to wish us a safe journey. He never saw us as employee, but as a family, a bee hive. Sudha Ma’am has always been a sweetheart. She treats me like her son, and I get jealous when she calls Titus as “Titu”. Titus is real chilled out guy, deals everything lightly and solves it. I learnt “How to grab information in a meeting” from Bala. That was my first meeting at Report Bee. Anjan gave me the confidence to learn new things. Anjan and Jack pushed me to take courses for my own growth and I grabbed the certificates with full marks. Directly or indirectly, I learnt something from everyone at Report Bee. There is a lot of positive energy everywhere. I used to be that one silent kid in the office but Manasa taught me to socialise with people. My First job as a Designer has now become a memory for life. 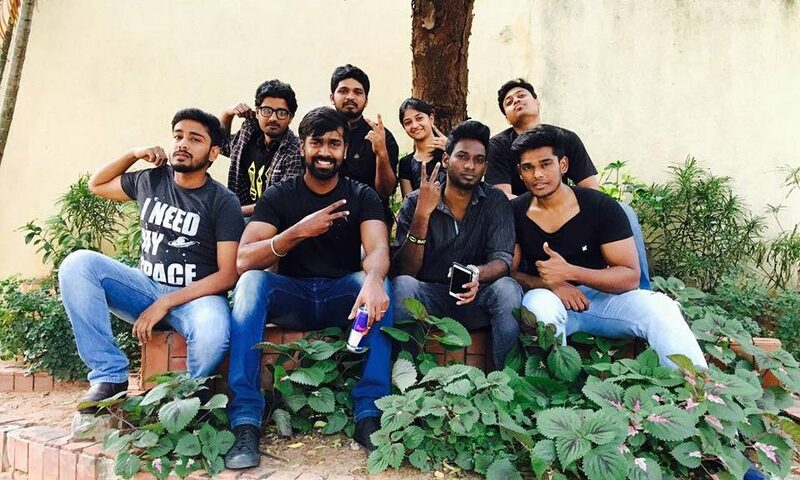 We had ‘Theme Thursdays’ where we followed themes and captured pictures and videos and participated in ‘Fresh Air Meets’ which happens early morning once in a month. 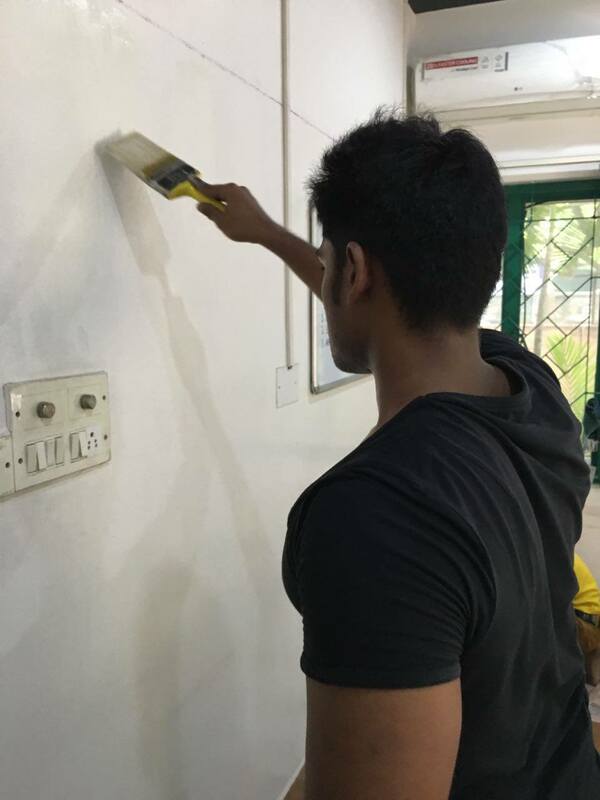 When Jack decided to paint the office white, most of the bees jumped in to help. It was one memorable day. We had a lot of conversations and life lessons that helped me grow within as a person. The last 10 months here has taught me lessons for life and i know its not going to be the same outside. I’ll miss each and every bee in Report Bee. I’ve wanted my designs all over RB, and I’ve been pretty vocal about it. The NC dream comes True! 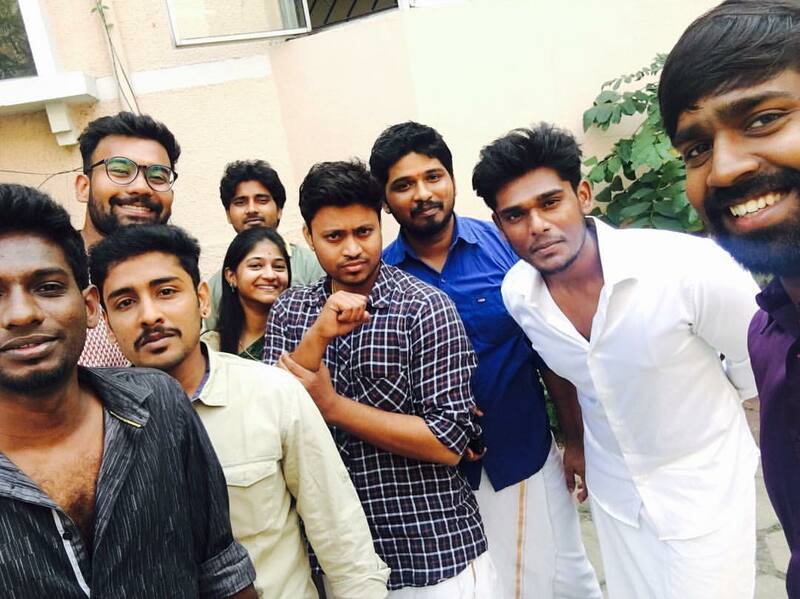 It took two years for us to bring people outside Report Bee to be a part of our non/Naan Creative meet. 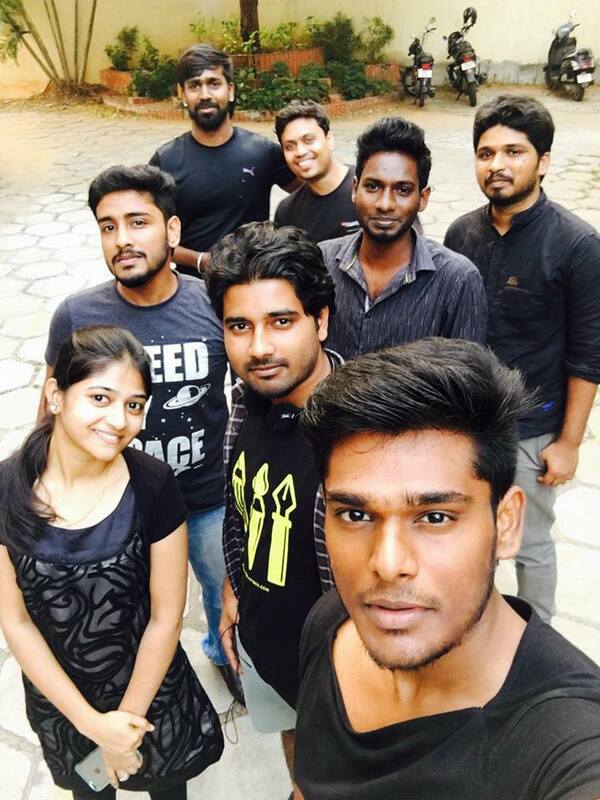 This time, We worked along with Team Everest (NGO) to bring kids from Kottur High School. The Team NC helped the kids to do some crazy art in the pots. 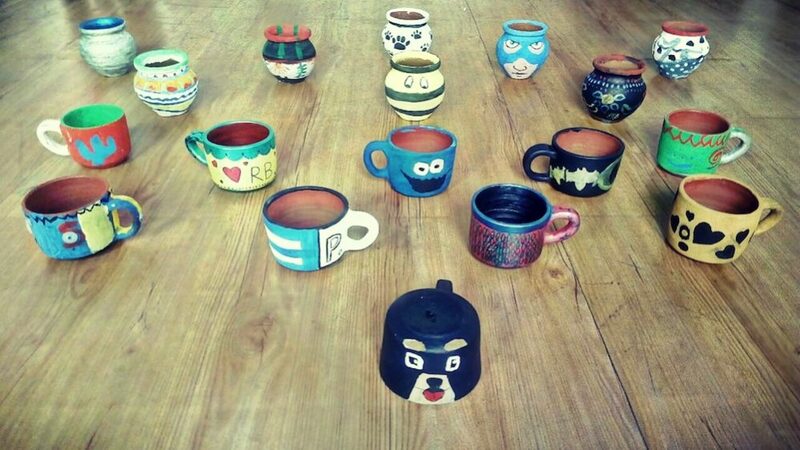 We decided to try Pot Painting and luckily the date stood on March 25th, The 25th NC meet/activity. The 3 hour session started at 10.00 in the morning and was over by lunch. Few kids were open and interactive while few took time to interact. Some preferred to remain calm and observant. Praveen kumar, narrating a story of his Dragon pot and Samurai Lady. We expected the event to be fun and engaging. Instead, the kids enthralled us with their creativity and perfection. 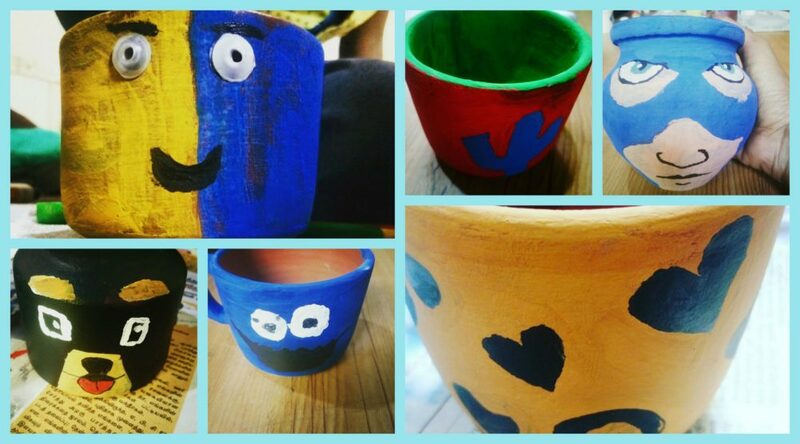 We, as a team, tried our hands on some pot painting before experimenting it with the kids. When compared to what we did, the kids were way ahead of us. 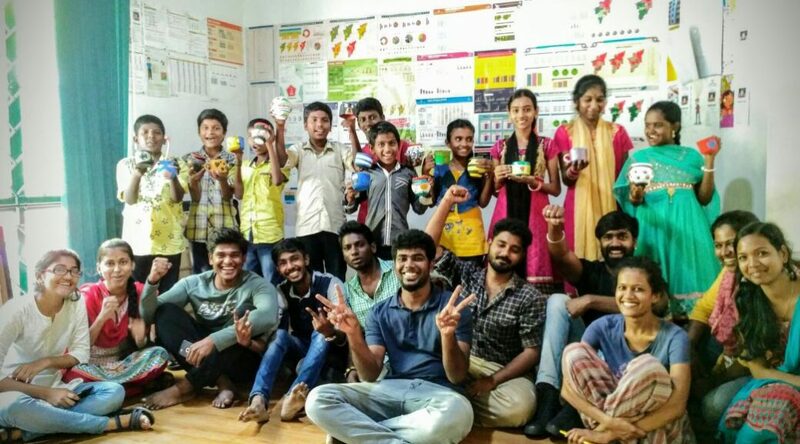 To us, this activity brought much of joy as we got to interact with kids in our premises. They were free to take the pots they like and we have a couple of pots left with us. As a token of love, We will be gifting these pots of love hope and joy to our guests!